Elon Musk may have been on to something when he said Tesla was becoming a real car company. Just as importantly for investors, he’s acting more like a real CEO. Tesla burnt through less cash than Wall Street feared in the second quarter, sending shares higher after the close of regular trading. 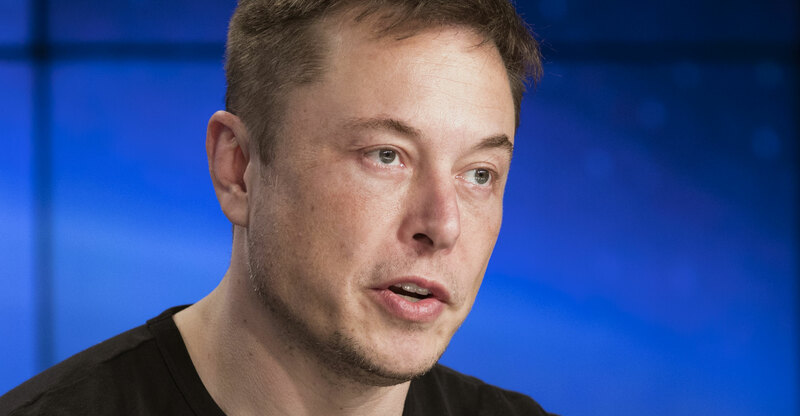 The stock soared after Musk apologised to the two analysts he scorned three months earlier for asking “bonehead” and “dry” questions on the company’s previous earnings call. Bulls are betting the results and the contrition mark a turning point both for Tesla and its CEO. After struggling mightily to mass-manufacture a car for the first time, the company is gaining momentum with the Model 3 sedan that’s critical to its bid to start making money. The 47-year-old Musk also delivered for the supporters who called for him to show more poise and execute after months of distracting and destructive behaviour. The shares surged as much as 9.2% as of 6.25am New York time Thursday, before the start of regular trading. Tesla stock was down 3.4% this year through to Wednesday’s close. Tesla burned through about US$740-million during the three months ended in June, a better showing than the roughly $900-million analysts were expecting. Stemming the tide was a major focal point of sceptics who were alarmed by the more than $1-billion in cash the company went through in three of the previous four quarters. “I was impressed with their negative free cash flow,” said David Kudla, CEO of Mainstay Capital Management, which is betting against Tesla. Still, with the company building some Model 3 cars manually under a tent outside its assembly plant and struggling to keep customers happy in major markets like Norway, the fund manager isn’t convinced the company is out of the woods. “I’m more concerned about quality issues and service issues,” Kudla said. Musk has been adamant that Tesla won’t need to raise more capital this year. Many analysts have questioned how long he can stay insistent, citing lingering doubts that the company can sustain higher Model 3 production levels and afford to pay off some of the liabilities looming on its balance sheet. The CEO set out to address these concerns both in a letter to shareholders and on the call. 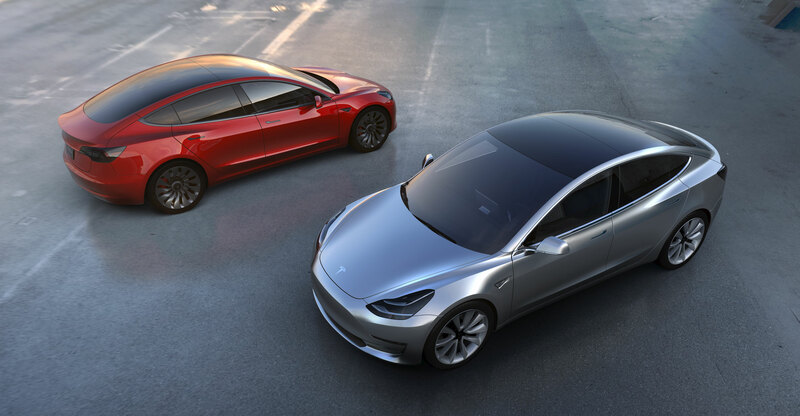 He and chief financial officer Deepak Ahuja wrote that they expected Tesla to build as many as 55 000 Model 3s this quarter, which would nearly double output from the three months that ended in June. Then, Musk told an analyst the company would start paying off its debts. Tesla ended June with about $2.2-billion in cash, the least it’s carried since the first quarter of 2016. While Musk flaunted plans to get Tesla’s fiscal house in order, he also might end up raising some capital after all. The company probably will use “essentially a loan from the local banks” in China to fund a new factory it’s building in Shanghai, he said on the call. The company plans to look to China to at least partially fund the car and battery plant where it intends to invest $5-billion, according to a person familiar with the plans. Spending won’t begin “in any significant way” until next year, according to the shareholder letter. Musk said it may only cost about $2-billion in capital expenditures for the factory to be able to build 250 000 vehicles a year. For almost a year, Tesla followers fixated on the company’s target to make 5 000 Model 3s in a week. After a struggle Musk blamed in part on relying too much on automation, the car maker put off expenditures toward doubling that rate until it was achieved. Tesla pulled out all the stops to finally hit that goal at the end of June, flying in a production line from Germany on a cargo plane, adopting an around-the-clock schedule and erecting a massive tent to house another assembly line in the parking lot of its California plant. Now that the company finally hit the target, it’s reviving a goal to make 10 000 a week sometime in 2019. A year ago, the goal was to get there in 2018. Tesla is renewing the target even as Musk and Ahuja tout having “significantly cut back” on spending projections. The CEO carried out a reorganisation last quarter and announced that 9% of the company’s workforce would be dismissed. The measures Tesla has been taking may be what bears point to as evidence that the company has been taking short-term steps only to support the perception that its outlook is improving, said Alexander Potter, an analyst at Piper Jaffray with a buy rating on the shares.